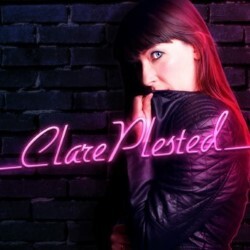 Clare Plested first came to my attention as one half of Plested and Brown an amazing comedy theatrical company and then saw her doing stand-up comedy about 4 years ago. Since then this was the first time she had performed at the Frimge. This is a comedy character driven show, ideally suited for her to showcase her myriad of acting skills and characterisation. 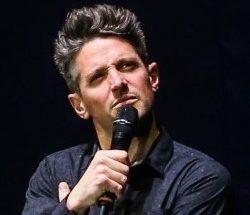 During the course of the hour we have Carrie, a MI5 recruiting agent with a one track mind, a mum on a night out on the lash, Pansy Pocock a motivational speaker …sort of , a bitchy loud mouth delivering an eulogy and Aussie medium Anrex, also recruiting. Clare breathes life into all of her creations, involves the audience and gathers laughs by the bucket load. The necessary breaks for her to change are covered by a nice little device which works well to stop the energy she has built to be dissipated. The action is non stop, there are some genuinely funny characters and she reacts well to any audience interaction and there is plenty. This is a really enjoyable show that you should attend. 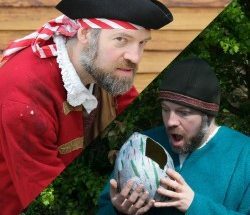 As part of PBH’s Free Fringe entry is free but a bucket collection is requested at the end, so fold your contribution and put it in before leaving.